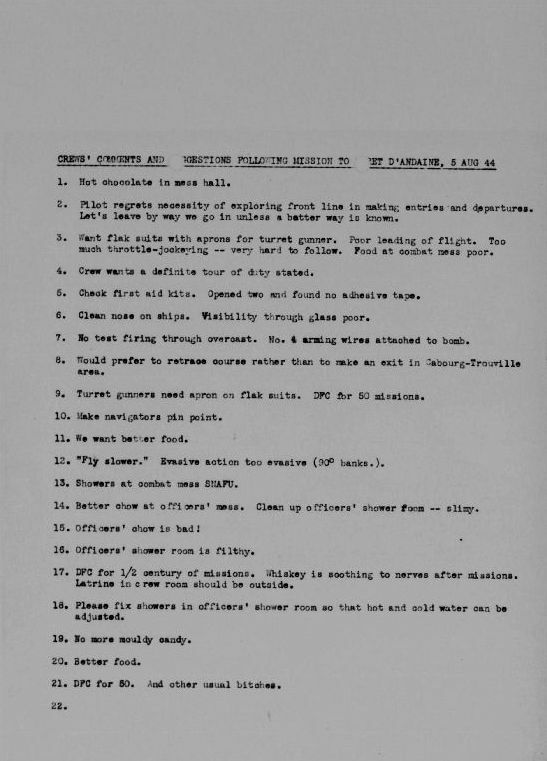 Post Raid Comments: 386th Bomb Group 6 August 1944. The US Ninth Airforces 386th Bomb Group served in the European Theatre of Operations in 1944-45 flying Marauder aircraft. After each mission all the crews were de-briefed. Here's how this unit felt after the last 'job' of the day. Enjoy the humour and the revealing comments on morale.